Korea's biggest surfing festival has announced its first lineup of performers! 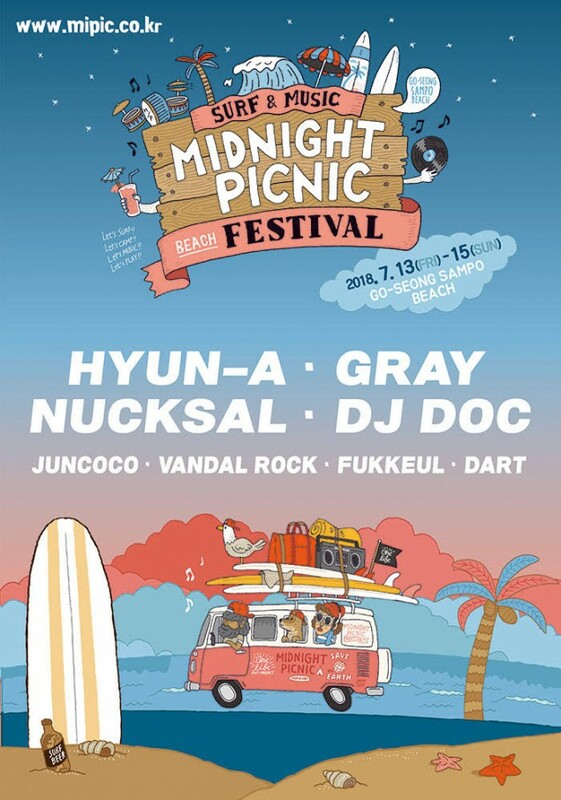 The 'Midnight Picnic Festival 2018' will be held from July 13-15 at Kangwon-do's Sampo Beach. The festival actually started last year, and is already the biggest festival of its genre, providing a lot of entertainment for visitors. There will be surfing zones, skateboard zones, water slides, and much more. 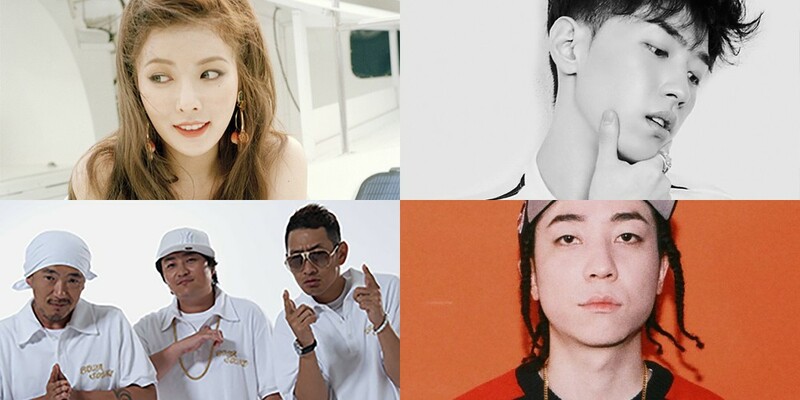 The first lineup announced includes HyunA, GRAY, DJ DOC, Nuksal, JUNCOCO, Vandal Rock, FUKKEUL, and Dart. The 2nd lineup will be announced in mid-May. Check out the poster for it below.